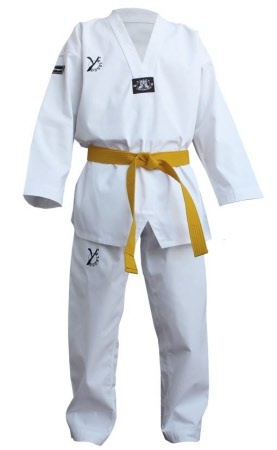 White collar Dobok taekwondo DOUBLE Y "Challenger 2"
<< Back White collar Dobok taekwondo DOUBLE Y "Challenger 2"
Dobok "CHALLENGER 2" is a uniform newly designed to replace "CHALLENGER" existing which had successful previous years. High uniform: Flexibility and durability to meet the needs of all Taekwondo practitioners, novice or confirmed. 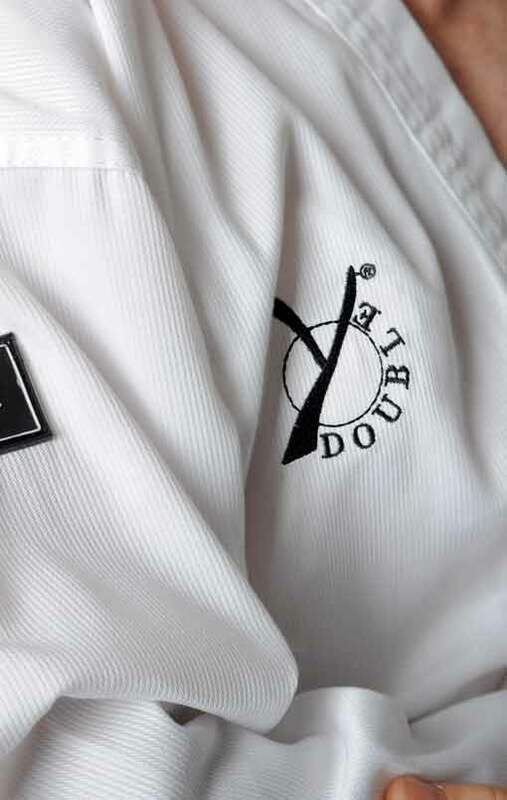 The label in the front of the dobok is now black, ribbed fabric 8 oz . The pant : elastic waist and and additional cord, quality sewing down at the bottom of the sleeves and legs of the pant. 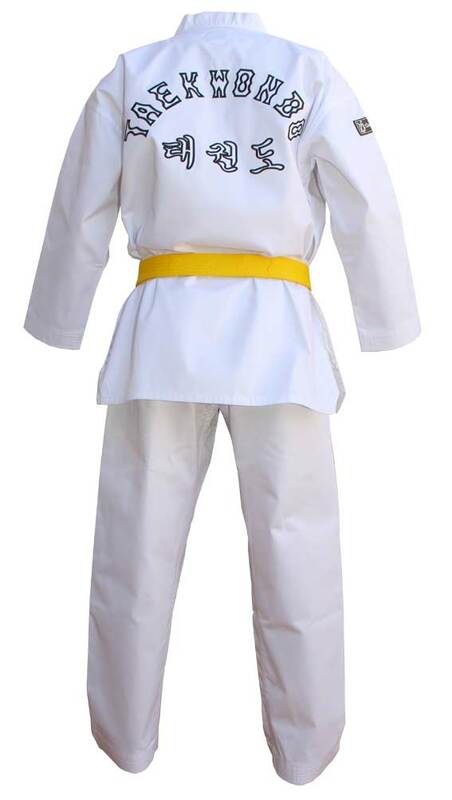 Not turn yellow after washing, not shrinking. The uniform's fabric is most often a blend of polyester and cotton, in varying proportions.